The same review is a closing argument when it attempts to convince the prospective reader that this is either something worth reading or passing by. “I think this novel is great because…” or “I really tried to read this survey book about _____ but I just couldn’t grab on to it…” The key, though, is that the closing argument is not about TRUTH in capital letters – a review is an opinion piece, and the opinion is only as good as the structure of the argument it holds. What I love about reading book reviews is not the bottom line – did this reader/reviewer love or hate the book – but the validity of the argument that takes us to the buy/don’t buy recommendation. Is it logical, is it well structured, is it internally consistent (not a review that praises the author’s writing style at one point while attacking it somewhere else), is it honest? If I write a review indicating that I love a book, I’m just as interested in other reviews that praise or condemn the book. Why? Because I’m not looking to win an argument, I’m looking to see how each and every reviewer made their arguments. Is there a difference between positive and negative reviews? Yes, I think so. It’s much easier to convince the average reader that you, the reviewer, love a book because (as has been said so many times before) everyone loves good news. If I pick up an interesting-looking new novel at Borders and then use my BlackBerry to find reviews, I’m quite pleased to see 4-and 5-star reviews and flat-out recommendations. I’m much less pleased to do a digital search only to read that this book is a disaster. But, wait, maybe it isn’t – maybe I need to see how good a case is made by those who are criticizing it. Decades ago, I used to read music reviews in every major publication of the time. There were a number of reviewers that I really admired, including one in particular who never liked the same things I did. 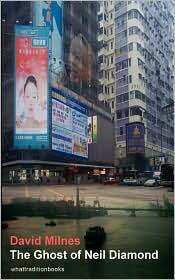 But that reviewer always made a great case for his position, an enlightened and entertaining case. He wrote a brilliant negative review of one classic album in a single sentence! So, yes, it’s not the length of the argument that counts. It’s not the size of the dog in the fight but the amount of fight in the dog. And the next time you read a book review, you may want to ask yourself, “Did this reviewer deliver both an opening and closing argument this time around?” Don’t forget that you are the juror in the court of public opinion, and it’s your vote that counts each and every time. 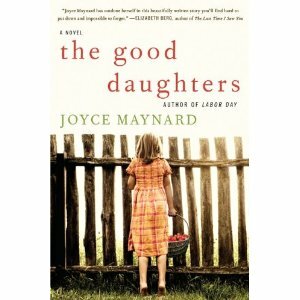 Pictured: The Good Daughters: A Novel by Joyce Maynard.